With Christian Faye DUO Highlighter kit – eyebrow powder,highlighter,the brush and 3 stencil set you can create a customized,natural look.Available in 3 different colour sets – Dark,Medium and Light. 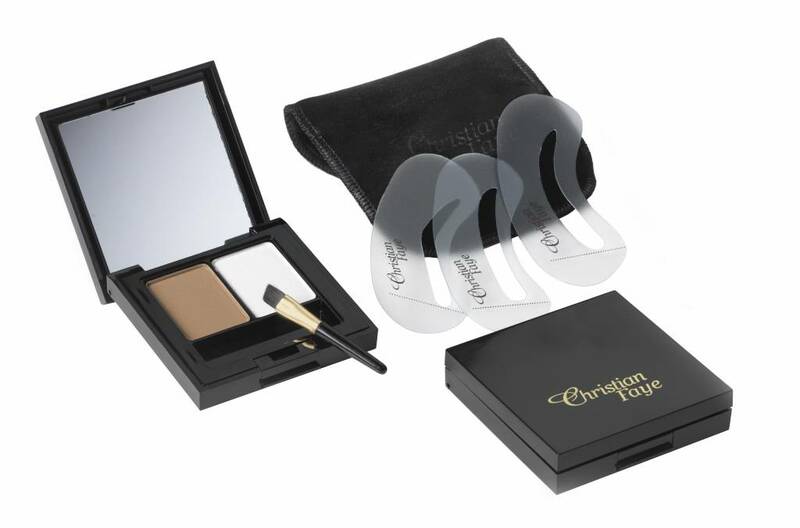 Christian Faye Eyebrow Powder is a revolutionary product that creates perfectly shaped eyebrows in just seconds. Eyebrow Powder stays on for 24 hours and is waterproof. With Christian Faye DUO Highlighter kit – eyebrow powder, highlighter ,the brush and 3 stencil set you can create a customized, natural look. DUO sets are designed to accommodate all shades. The three universal mix colours (Dark, Medium, Light) to the perfect look. The slightly pearly highlighter is applied under the eyebrow to shine forth in all its glory and to make the eyes appear larger. Christian Faye gives your eyes the perfect setting!